The course aims at giving a general but concrete introduction to what researchers do in life sciences and biomedical laboratories, and how they need to communicate their research to different typologies of audiences. The Centre for Integrative Biology (CIBIO) of the University of Trento is currently home to about 40 independent research groups (amounting to ~200 scientists), focusing on four broad research areas: Cancer Biology & Genomics; Cell & Molecular Biology; Microbiology & Synthetic Biology; Neurobiology & Development. This module will comprise a short introductory lecture on the research and outreach activities present at CIBIO, and immersive experiences with CIBIO researchers, in their laboratories. 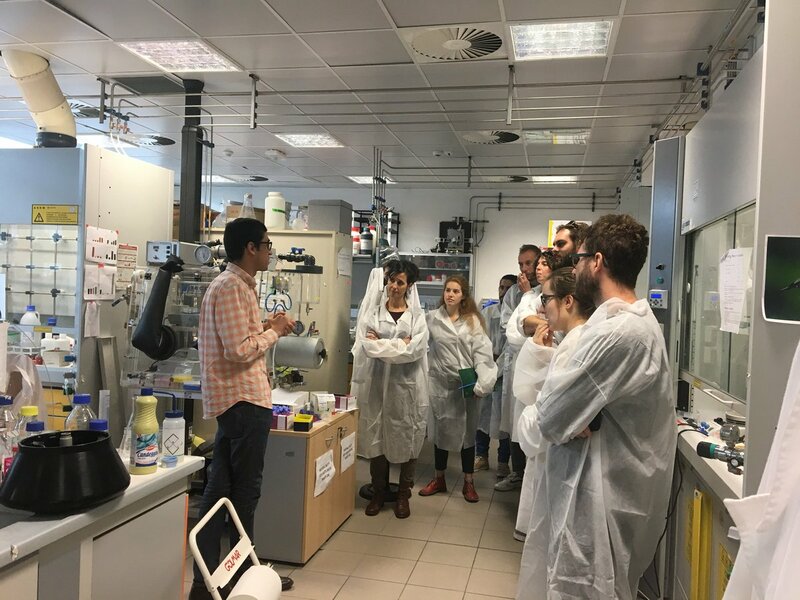 Our students meet CIBIO researchers in their laboratories.